Question: Will the Streetside Mailbox (Whitehall) fit on the Dover Post 5810-W? Answer: Yes it will. You will need to follow the Reinforced Installation instructions as this mailbox is over 10lbs. 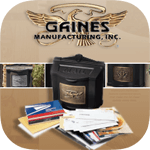 A link to the instructions are located on the post page in the disclaimer box with the Mayne logo. 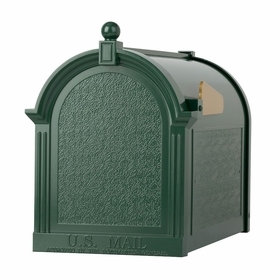 Question: You indicated that the Streetside Mailbox will fit on the Dover Post 5810 by Mayne. 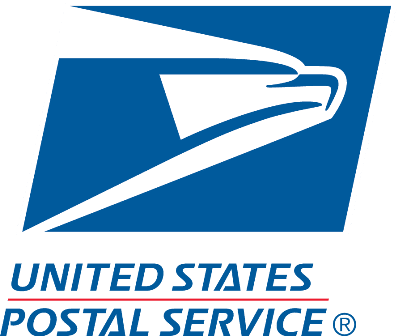 But doesn't the bottom of the mailbox have protrusions that prevent it from being mounted on the flat arm of the Dover post? Answer: The mailbox will mount to this post. We do recommend the reinforced installation due to the size of the mailbox. 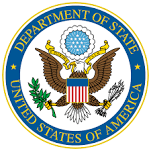 Question: Is this made of high-quality galvanized steel or high-quality steel? Answer: It is made of die cast rust-free aluminum. 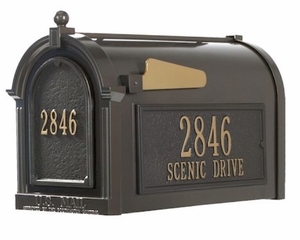 Question: Can this mailbox be attached to our flat, wooden surface instead of a metal post? 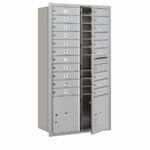 Answer: The Whitehall mailboxes are made to mounted on Whitehall post. I cannot guarantee that it will fit on the post you are referring to. Question: What post works with this box? 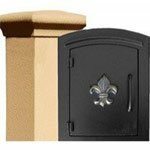 Answer: The Chalet mailbox can go on the chalet classic post or the chalet deluxe post. Question: I have ordered the Charleston post and the Streetside mailbox. Is there a alternative arm for the Charleston post that will fit this box? Answer: No there is not. 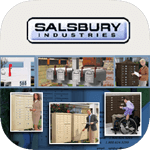 Question: How do I install a Whitehall mailbox on a Charleston Post? Answer: You need to purchase a mounting board to attach to the arm of the post. 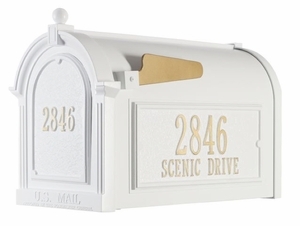 You should also screw the mailbox to the post through the back of the mailbox. Question: I have this mailbox from Whitehall and it is peeling badly. Can it be repainted? Is it guaranteed? 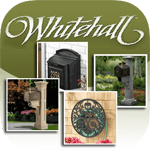 Answer: Whitehall has a 1-year warranty. 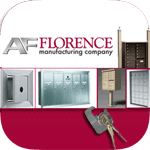 You can contact them directly regarding the warranty and painting.